Find at this page SME Leasing Ltd Jobs 2019 Sindh Latest. 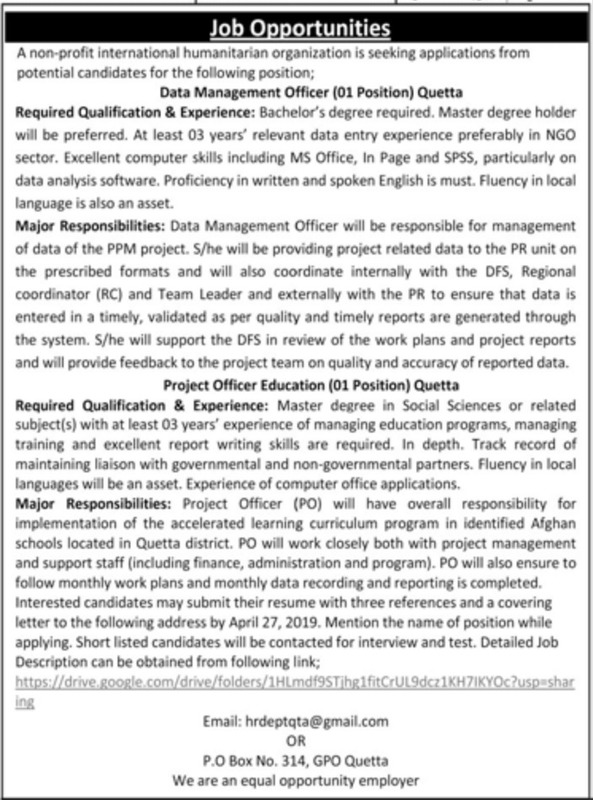 The positions of Chief Financial Officer/Company Secretary, Head of Internal Audit are vacant. The positions are to be based main office located at Karachi. 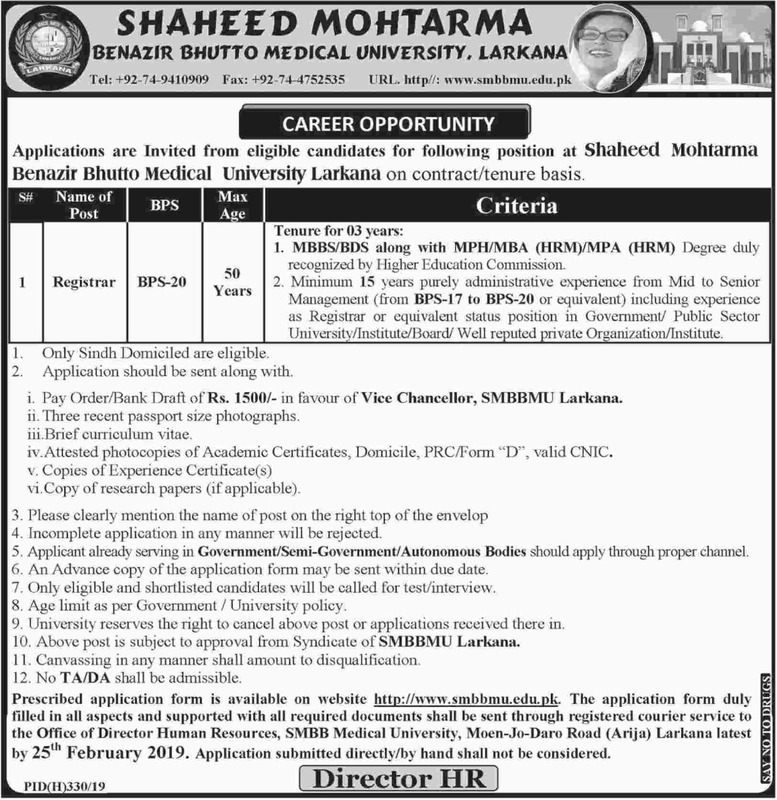 Submit your applications upto 23rd February 2019. The posts are on contract basis. 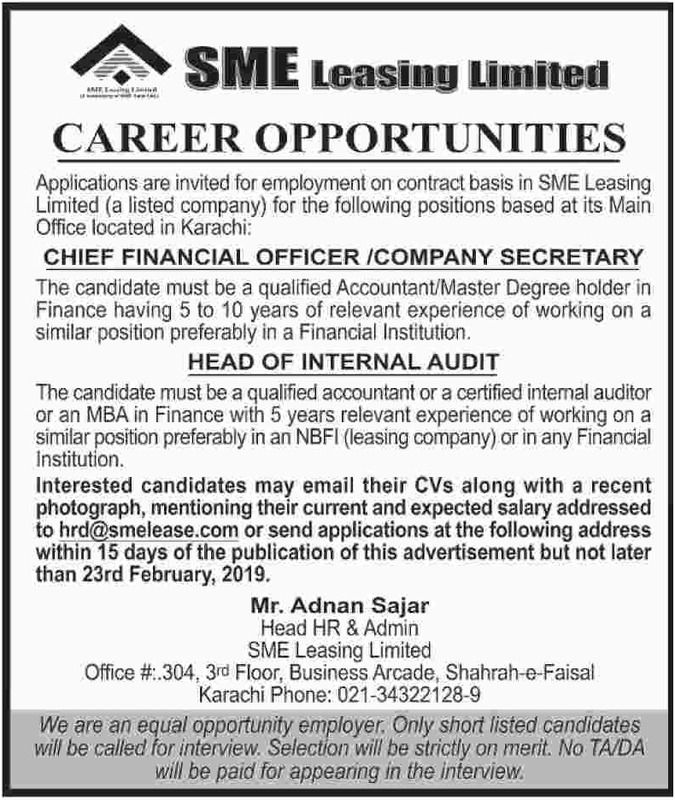 For details, carefully read job advertisement of SME Leasing Ltd published in Daily Dawn and Daily Jang dated 8th February 2019.